Israeli-born billionaire Idan Ofer is buying a stake in Spanish football club Atlético Madrid and will become a board member of the club. On Thursday, club president Enrique Cerezo confirmed that an Israeli multinational will acquire a 15% stake in the club for €50 million ($59 million). 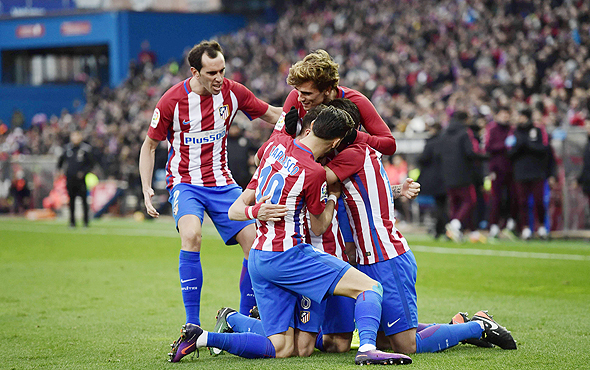 Atlético has become one of the leading football teams in Spain and across Europe in recent years. In terms of title wins, the club is third, after Real Madrid and FC Barcelona. Atlético won the Spanish title last in 2014. The acquisition was first reported by Calcalist on Wednesday, citing people familiar with the matter who spoke on conditions of anonymity. At the time the negotiated stake was said to be 10%-12%, offered for €50 million ($59 million) at a club value of €1.5 billion ($1.77 billion). The deal has been underway for the past six months, these people added yesterday, and was initially the idea of Chinese billionaire Wang Jianlin, who approached Mr. Ofer with the offer and said the club is looking for an additional shareholder. Mr. Jianlin acquired a 20% stake in the club in 2015. While Mr. Ofer was reluctant at first, these people said, as sports are not part of his core investments, he was convinced to make the investment by his son, who is a football aficionado. Mr. Ofer has investments and holdings mainly in the domains of shipping, drilling and mining. Miguel Ángel Gil Marín, the son of the club’s longtime owner Jesús Gil, is known to have a 52% stake in the club, and Mr. Cerezo is known to hold 20%. They would both reduce their stake following the deal.